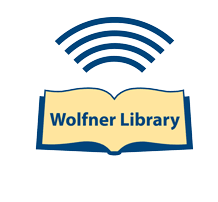 Wolfner Public Access Catalog Wolfner Library is a free library service for Missourians who are unable to use standard print materials due to a visual or physical disability. Materials are mailed to and from library patrons at their homes, postage paid. There is no charge, whatsoever, to the patron. Currently, over 11,000 Missourians actively use Wolfner Library. Wolfner Library is open Monday through Friday, 8:00 a.m. to 5:00 p.m. The library is located in the James C. Kirkpatrick State Information Center at 600 West Main Street in Jefferson City, Missouri. Yes No Requirement! Ask ERIC Yes No Requirement!